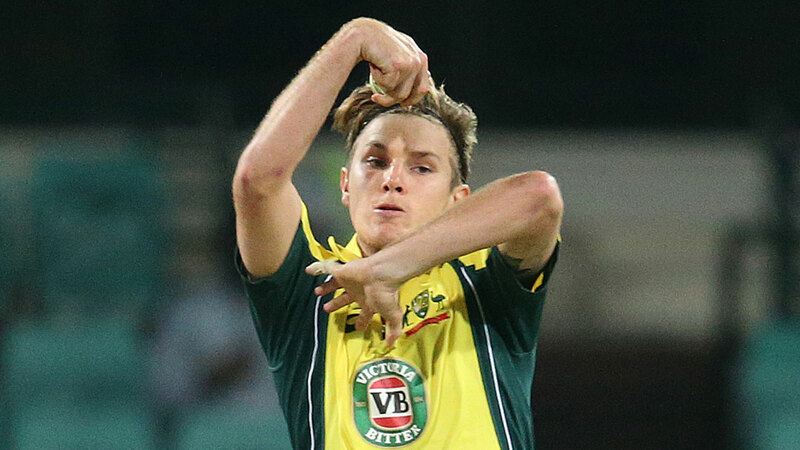 Zampa's call-up for Friday's series-decider at the MCG comes after offspinner Lyon went wicketless in the first two ODIs. Towering quick Billy Stanlake has been named in place of Jason Behrendorff, who has pulled up with a sore back and will not be released to the BBL. "He's had some back issues in the past so I think it's about managing him through this series and further forward," captain Aaron Finch said before training on Thursday. "In Adelaide there's obviously a short square boundary, (he) bowled really well defensively, which I think was pretty important seeing anytime the ball's been tossed up Rohit Sharma hit a couple off him in the first game," Finch said. "He's bowling against some pretty world class (batsmen) ... some all-timers, really. When he keeps bowling that well he will get rewarded eventually." The MCG clash is critical given Australia have gone two years without winning an ODI series. Since beating Pakistan 4-1 in January 2017, Finch's men have won four and lost 20 ODIs with three no-results due to weather. Test quicks Mitchell Starc, Josh Hazlewood and Pat Cummins have all been rested for the home ODIs against India, while Steve Smith and David Warner - whose suspensions expire on March 29 - appear certain to slot straight back in. Shaun Marsh is also short odds to be part of Australia's World Cup defence, having scored four centuries from his past eight ODIs despite his form slump at Test level. "I haven't seen him do anything differently to be honest," Finch said. "The great thing about SOS is how calm he is. He's in his mid-30s. He understands his game, he understands the rollercoaster of individual performances at times. "He's always been a positive guy and that hasn't changed whether it's been Tests or one-dayers." Australia: Aaron Finch (capt), Alex Carey, Usman Khawaja, Shaun Marsh, Peter Handscomb, Marcus Stoinis, Glenn Maxwell, Jhye Richardson, Adam Zampa, Peter Siddle, Billy Stanlake.